Even assuming that it wouldn’t melt, why would it reduce the possibility of burning your food? 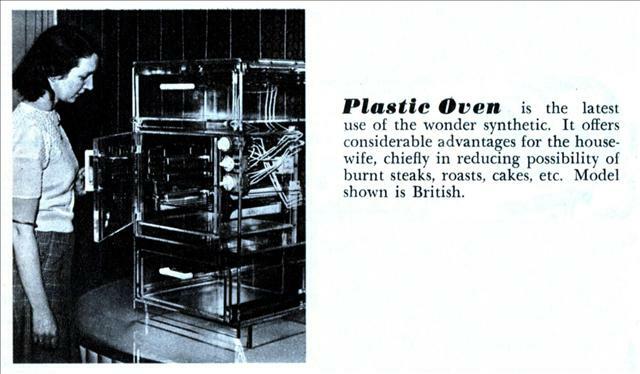 Plastic Oven is the latest use of the wonder synthetic. It offers considerable advantages for the housewife, chiefly in reducing possibility of burnt steaks, roasts, cakes, etc. 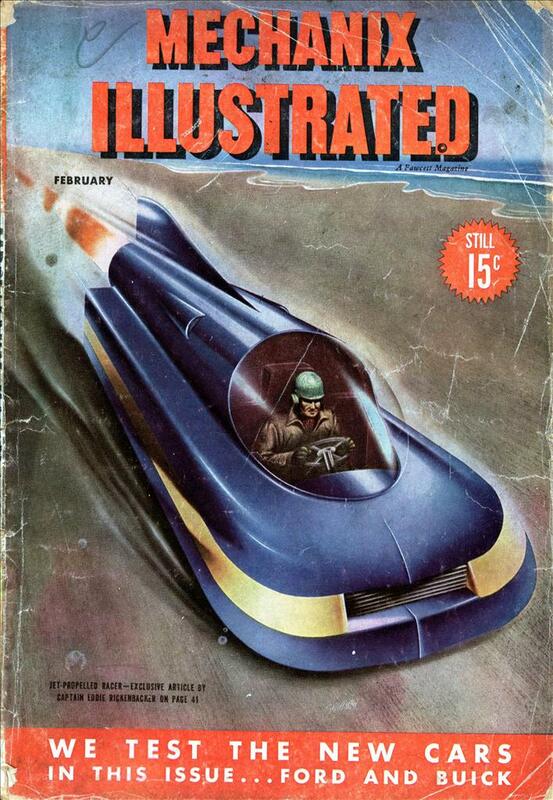 Model shown is British. Because you can see your food cooking. Because instead of heating the food, it kills the bacteria through the delicious toxic polymer outgassing. I just wonder, how nice that oven would look after a few roastings. That’s the point, it will melt before your steak is burnt. Do they mean that it is an oven of British manufacture, or a British model is standing in front of the oven? They were probably more successful than I was with my last invention, which was a genuine Wood Stove. Trouble was, you could only use it once. @Daniel: That was a “wooden” stove, methinks . . . .